As many webmasters already know, Google Search Console (formally webmaster tools) can provide a wealth of information regarding the visibility of a site in Google. With this update, its now even easier to find site crawl errors and, more importantly, the sources of those errors. A site with broken links not only hinders the user experience, but can also prevent search engines from finding important site content. 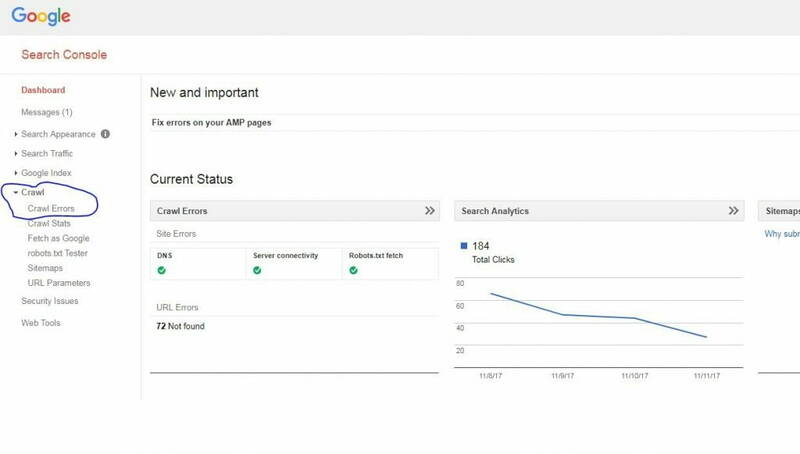 The crawl error sources feature in Google Search Console provides the information needed to find these broken links and correct them. This feature is found on the dashboard under Crawl > Crawl Errors . In addition to a new column showing the number of errors for each designated URL, it only takes a simple click to view what pages are linking to those URLs. And for those with multiple pages of crawl errors, a full report can be downloaded to view everything in one place. Using this information to correct crawl errors can help in a variety of ways. Backlinks resulting in 404 Not Found pages mean both the site and potential visitors are missing out on the benefit of those links. Correcting these links so they point to functioning, relevant pages can help reestablish the relevancy those links were originally meant to provide. After a site goes through a redesign and URL rewrite, it’s more than likely to have links from other websites pointing to old URLs. This new feature provides the information needed to correct this problem. Whether you prefer to contact the webmaster of the other site and provide them with the new URL, or instead redirect the old URL to the appropriate page, the new crawl error sources feature helps streamline the initial steps of this process. From a usability standpoint, correcting a website’s broken links, both inbound and internal, will help improve the visitor experience. When visitors enter a site and are immediately presented with a 404 page, it really doesn’t provide the kind of first impression most businesses want for their site. This goes for internal navigation as well. When a visitor navigates through a site and the links they select keep leading to dead ends, it’s likely they won’t be clicking through the site much longer. All in all, when looking to clean house and fix broken site links (both inbound and internal), the new crawl error sources feature of Google Search Console is a great resource.